Who doesn’t love cheap beers?! Available for a limited time only! Your local Ainslie Group venues, Gungahlin Lakes & Ainslie Football Club, offer great value to members year round! 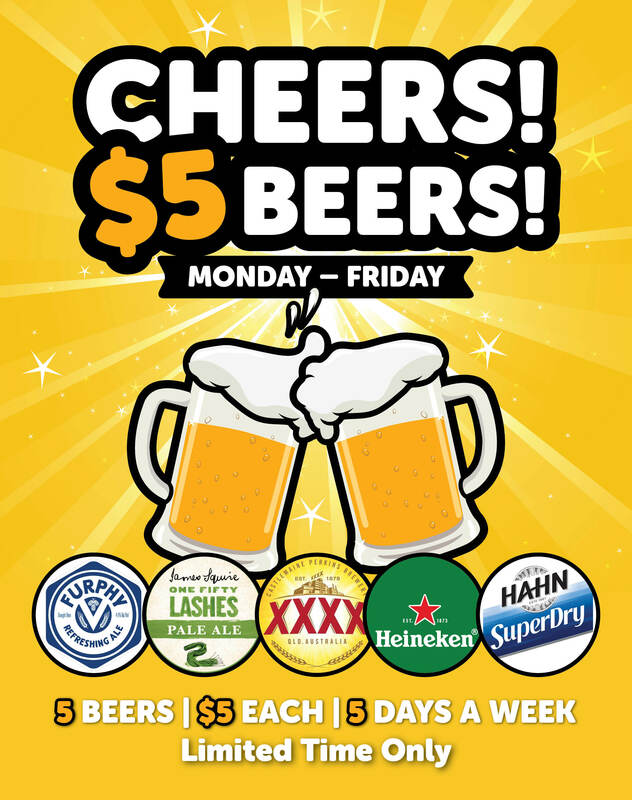 Until Friday, March 1st 2019 froth on our cheap beers with selected bevs available for $5 all day Monday to Friday! Terms and Conditions apply. Members only. Discount applies to schooners only. Ainslie Group venues practice the responsible service of alcohol. It is an offence to supply liquor to a person under the age of 18. Penalties apply.